Since the historic handshake of Prime-Minister Yitzhak Rabin and King Hussein at the Wadi Araba Crossing in 1994, the relationship between the two former enemies has been cordial, but suffering the occasional cold. Jordan is concerned over continued violence around the Temple Mount in Jerusalem, an area it still considers part of the country even though it was lost to Israel over fifty years ago. The stalled negotiations between Israel and the Palestinians are another source of ongoing frustration. While the vast majority of Jordanians believe true peace with Israel remains impossible as long as the Palestinian issue is not properly solved, their king is fully aware that the country’s delicate geopolitical position in the volatile region necessitates some kind of accommodation with its powerful neighbour. King Abdullah II remains a lone voice of reason in a region where shouting is still the norm. While retaining a big slice of executive power, King Abdullah II has made great strides towards the introduction of parliamentary democracy. In response to rising unrest following the Arab Spring of 2011, the king agreed to a curtailment of his powers with the creation of a Constitutional Court and an independent Elections Commission. Early general elections were held in 2013 and the king consulted with the new parliament on the appointment of his cabinet – a historical first. Though the Islamic Action Front, the Jordanian branch of the Muslim Brotherhood, boycotted the vote, most Jordanians seemed unconcerned. Through careful manoeuvring, King Abdullah II managed to avoid an escalation of political tensions. The king also initiated an ambitious reform policy aimed at liberalising Jordan’s economy. Growth has since averaged at 6-7% annually, lifting many out of poverty. Both the transport and telecommunications sectors were privatised and six “special economic zones” created to encourage investment and foster start-ups. 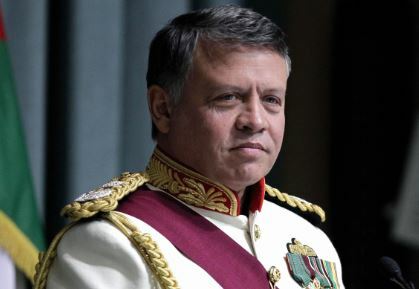 The Jordanian monarch is now busy at avoiding a spill-over of the political violence wreaking havoc in next-door Iraq and Syria. So far, Jordan has managed to keep extremists outside the country. By consistently delivering high economic growth and committing to sizeable and ongoing investments in education and healthcare, the Jordanian government hopes that the country remains a veritable oasis of peace and tranquillity in the region. In order for that to happen, King Abdullah II needs all the help he can get – even from Israel. The king recently gave a nod of approval to a $15bn energy deal that ensures the supply of natural gas to the country from Israel’s recently developed Leviathan offshore field. This deal ends Jordan’s dependence on erratic gas supplies from Egypt which are subject to sabotage by Islamist militants operating in the Sinai Peninsula. Jordan is now also part of the international coalition fighting the Islamic State and offers its airbases to fighter jets from Belgium and The Netherlands. King Abdullah II is acutely aware that Islamic extremists are further destabilising the region and may draw in support from disenfranchised masses desperate for change of any kind. Contrary to some other rulers, King Abdullah II realises full well that his government must simply deliver the goods in order to survive and, indeed, prosper. Improvements in governance, education, and social services – pushing the standard of living up – offer the only viable solution for the maintenance of a peaceful society devoid of radicalism. The force of arms can only accomplish so much and whilst ISIS needs to be checked, the best way by far of dealing with the extremists is to show that moderation actually gets the job done. We Americans could learn a lot from this man and his ideas for the region. Let’s not forget he is also a total badass, helicopter pilot, former special forces commander, and married to a stunningly beautiful Queen who also happens to be a tireless advocate for social causes. I’m not sure you could find a person of higher quality anywhere. Yes, and of course he appeared in Star Trek too. Of course he is a statesman. And one of the highest order. I am surprised that such a question should be asked.